Hi there! 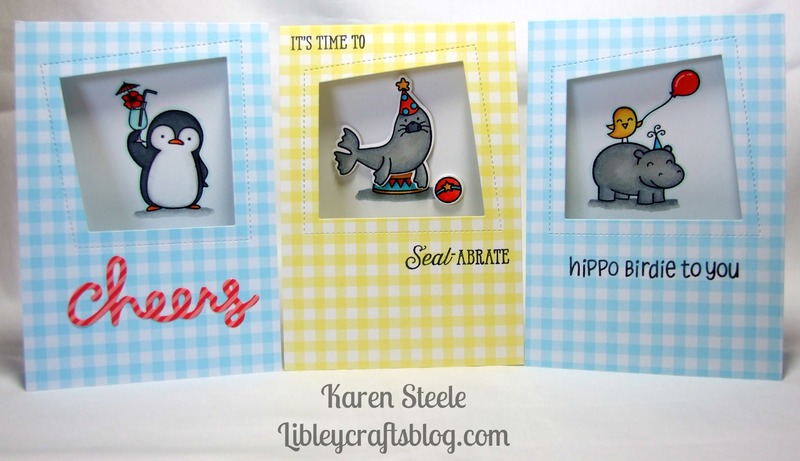 Thanks for joining me today as I share these three cards that I made using the Peek-a-boo Wonky Window Die-namic die. These cards were really quick to make. 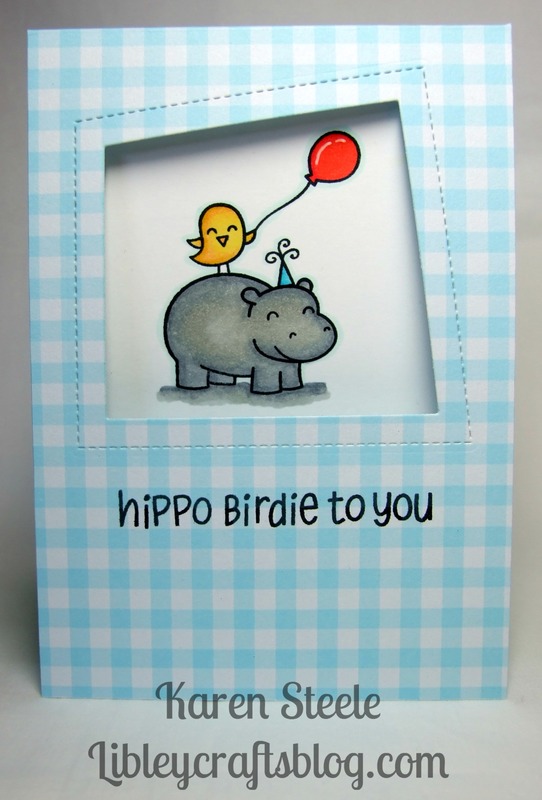 I used double-sided gingham cardstock for the base card, cut out the aperture and popped a cute little critter inside – easy peasy! 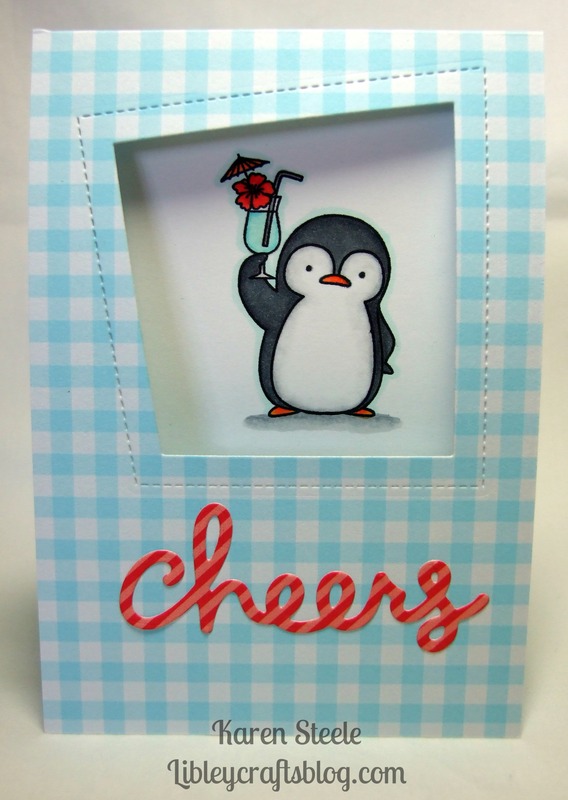 For this card I used the Penguin’s in Paradise stamp set from MFT and the Lawn Fawn ‘Cheers’ die. 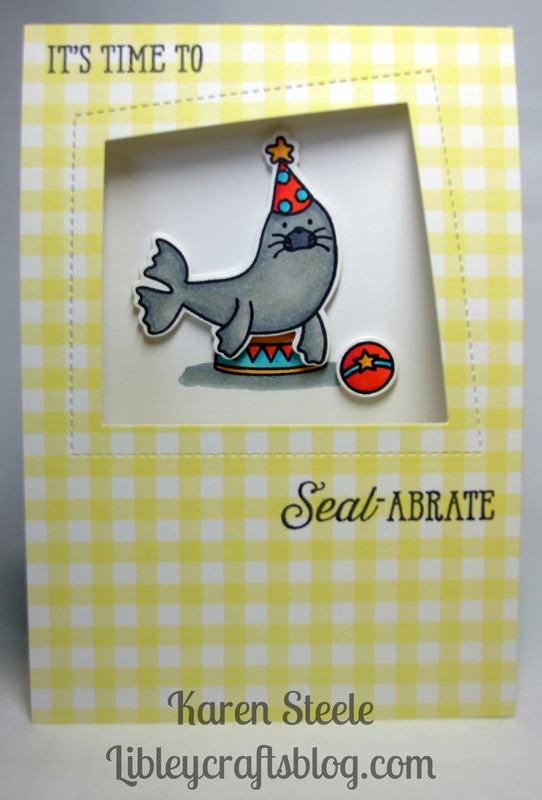 Here, I have used the ‘Seal-abrate stamp and die set from Avery Elle. And last but not least, here I have used lawn Fawn’s Year 4 stamp set. As always I coloured these little guys up using my Spectrum Noirs. I also used a Memento Tuxedo Black inkpad, the paper used for the die-cut ‘cheers’ was from a Lawn Fawn pad – I think it was either Let’s Bokeh in the Snow or Let’s Polka in the Dark! Super cute cards, Karen! Love the fun windows and gingham! Oh Karen, I love them all, as always. But a penguin with a cocktail is the stuff of dreams, I think! Great cards all!! That die cut is so fun! I love the fin images you used! Super sweet cards, Karen. Cute Images and i like the plaid papers. Super fun cards with all the critters! Love the wonky window and the plaid papers!! These are all sooooo adorable, Karen!!!! Love the papers, colors, and the wonky window!! Beautiful coloring as always! !